The law, which requires ignition interlock devices for drunk drivers, is named after Montgomery County Police Officer Noah Leotta, who was struck and killed by a suspected drunk driver. A proposed drunken driving law passed in the Maryland Senate and House late Monday night. The bill goes to the desk of Gov. Larry Hogan, who has indicated he will sign it into law. 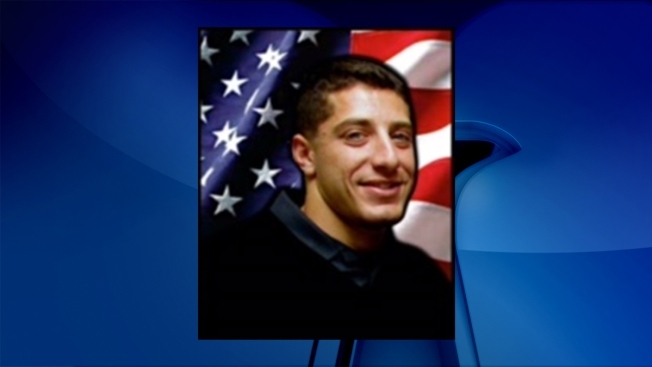 The bill, which requires ignition interlock devices for convicted drunken drivers, is named after Montgomery County Police Officer Noah Leotta, who was struck and killed by a suspected drunken driver. He was 24. The version of the bill would put ignition interlock devices on the cars of those convicted of driving under the influence. A driver would have to pass a Breathalyzer test before the car would start. Only repeat drunken drivers and drivers described as having been excessively drunk are currently ordered to use the ignition interlock devices in Maryland. Hogan voiced his support for the bill as the legislature discussed issue, saying Noah's Law would save a lot of lives. "We've got a problem with drunken drivers, and we're repeatedly having issues," the governor said. "I think this is something that's really going to help. It's something there is almost unanimous support for on both sides of the aisle."